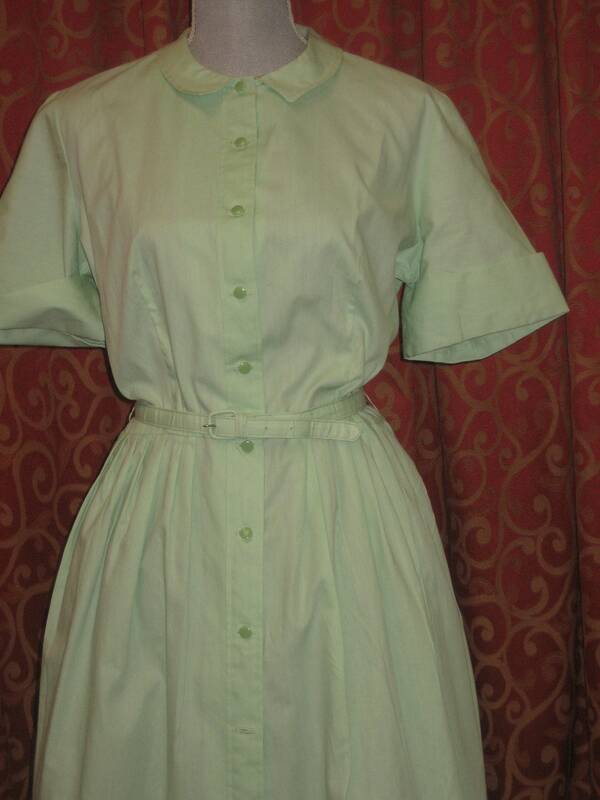 1950's, 40" bust, mint green cotton shirt waist dress, with matching belt. Dress has short caped sleeves, Peter Pan collar, and full skirt. 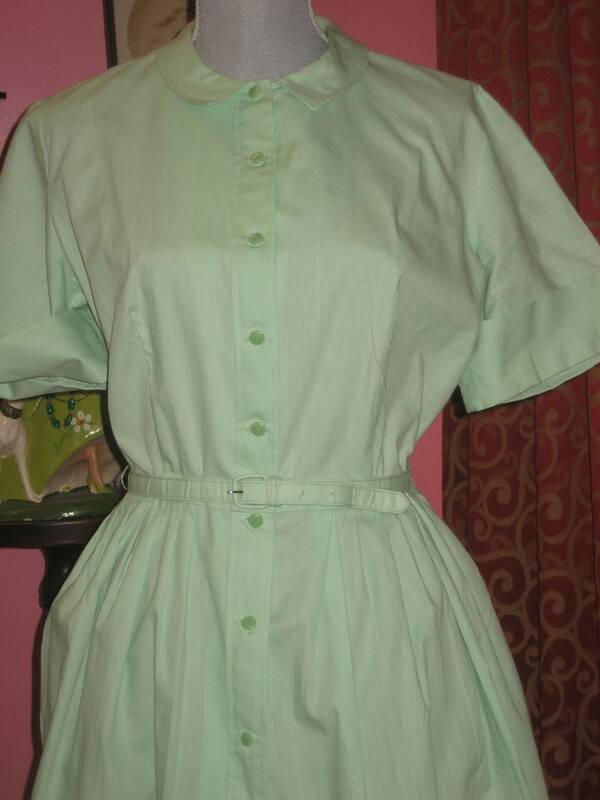 The dress is fastened in with 12 round mint green buttons from neck to hem. Label reads " Ellen Joan, Baltimore, Md." waist 32"shoulder to shoulder 16"